We're New Home & Renovation Builders located in Mangere, Auckland. Besides our deep passion for rugby, we're also founders of Deca Homes. Growing up in Waihi Beach on the East Coast of New Zealand I loved to be outdoors, skateboarding, surfing or pretending to be an All Black on the front lawn. As most young kiwi boys I grew a dream of one day being an All Black which led me to make a move to Hamilton Boys High School. Here I was fortunate to be coached by somebody who had a significant influence on my life. Coach was a big believer in teaching values before rugby. We might not have been the most prominent, fastest or most skilled rugby players out there but if we were the hardest working team in the country, then we knew we were in with a chance. At Deca Homes we know we don’t have a team of fifty plus builders or over fifty years of family experience, but we do know we can build an outstanding quality of homes that you would be proud to watch your children grow up in and call home. I then finished school in 2009 and was offered a building apprenticeship by the Counties Rugby Union. 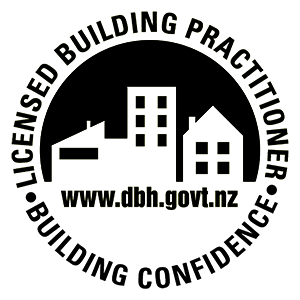 I took this opportunity with open arms and began my Apprenticeship with Loveridge Builders in South Auckland. It didn’t take me long to realise that this is the career that I would enjoy and took pride in telling people that I was going to be a builder. At the time of my Apprenticeship, I had a foreman called Tim. I used to call him "Grumpy Tim." Grumpy Tim was always watching over my shoulder, making me redo anything that wasn’t up to standard and also making sure that his hot chips had plenty of salt on them at smoko. Looking back now I can’t thank Tim enough, the quality of workmanship he taught me is something that is now the backbone of our company, and something I instil into our builders today. I finished my apprenticeship in January 2014 and went straight into sole trading, where I was foreman and project manager for various new build projects in South Auckland. At this stage, I knew exactly what I wanted to do with all my skills and knowledge I had gained. My dream was to help people, help people realise their dreams could come true and help them own the dream home they have always wanted. As a father of 3 children, I know exactly how important it is to have a place to call home. In my time away from work I love to get away and spend time with my wife Rebeca whom I married in November 2016 and My three Kids Masin, April and Christopher. While they have trouble listening and doing what they are told, they are the pride and joy of my life! I also like to play touch rugby (because apparently, you have to be able to tackle to make the All Blacks) where I was lucky enough to be able to represent New Zealand for seven years.Over the last few years, I have now found a passion for CrossFit as it keeps me honest with the values I live by, "hard work and dedication." So, whether you want to talk about the footy or you want to talk about one of the most significant investments of your life, (your dream home), I’d love to talk to you.